I've been to the Florida Keys three times in the last 18 months. Each time has been unique, and such a wonderful experience. 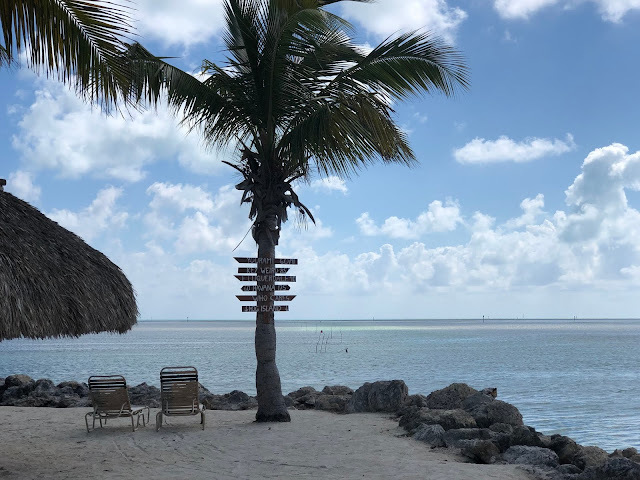 Last month, for Winter Break, we planned a super last minute trip with the kids to Key Largo, Florida. And when I say last minute, I mean we booked the trip on Thursday night and were sipping fruity drinks poolside Sunday. Originally we had planned to go to Arizona for Winter Break. Weather is typically pretty enjoyable there in the winter months, and we were ready for some fun in the sun. As we got closer to our departure date we realized it was going to be cold. Like colder than it was at home. The whole plan for the break was to escape the cold rainy winter, not sink further into it. We also couldn't stay home because we had scheduled a part of our kitchen remodel over the break. This part of the remodel required us to be out of the house for at least two nights. So Mr. 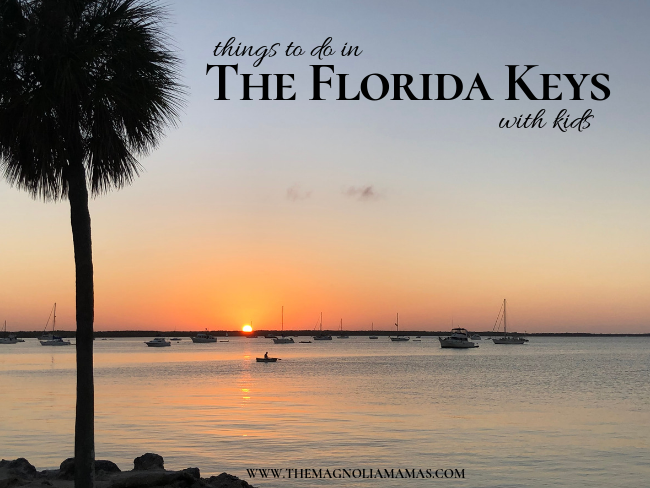 Cute and I put our travel planning skills to work and came up with the Florida Keys. We landed on Key Largo only because it was the only Key that had availability for the entire week. We found a hotel that had a beach, a pool with a cocktail cabana bar, and a room large enough for our crew - and that's all that matters. After it was all said and done - best decision ever! We had a blast as family in Key Largo. The weather was perfection, there was tons to do, and the kids had a blast! 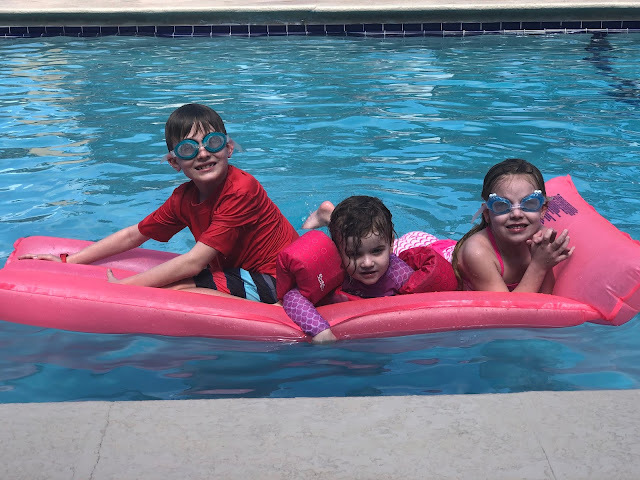 My kids are the kind of kids that could spend all day at the beach and pool, and be perfectly happy. I love that because that's how I am. But we still managed to sneak a lot of fun adventures on this trip too. I think we were all high on finally experiencing warmth and sunshine that we just wanted to do all the things on this trip. The parts of the Keys I had seen I didn't think it would be a kid friendly place. When we had vacationed to Islamorada and Key West it was a completely different experience. When it came to vacationing with kids, I couldn't have been more wrong. 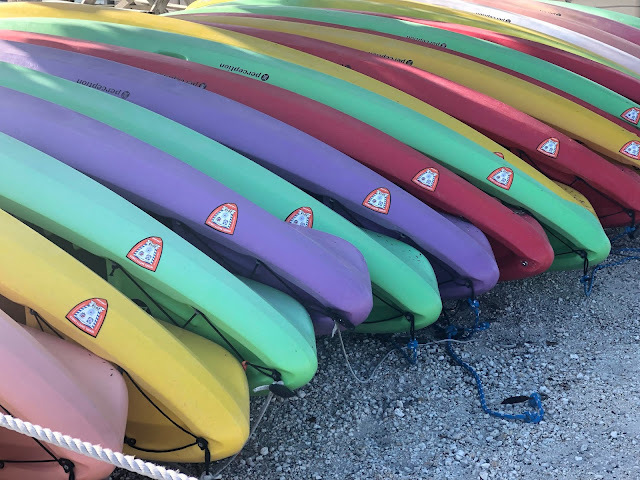 There were tons of things to do with kids in the Keys. The Turtle Hospital is located in Marathon, Florida (approximately an hour south of Key Largo). 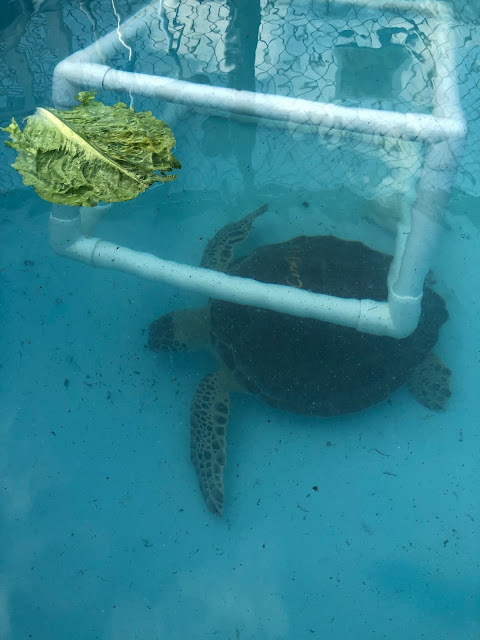 The Turtle Hospital is one of the country's largest sea turtle rescue and rehabilitation facilities. The facility has a unique back story and is open for tours daily. The kids loved this activity. They were able to be educated on different varieties of sea turtles, the dangers sea turtles experience, and ways to help keep them safe. We also were lucky enough to sea a sea turtle rescue surgery being performed during our visit. 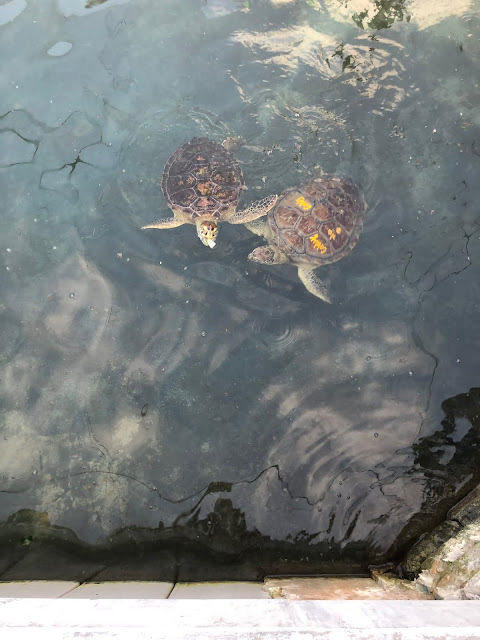 The tour includes an up close look at the different rescued sea turtles and even a chance to feed the sea turtles. Tours last approximately one hour, but there are educational play areas you can enjoy to extend your visit if desired. There are several swim with dolphin opportunities throughout the Florida Keys, but the facility we chose to go with was Dolphins Plus. We cold walk to there from our hotel if wanted and it received a ton of great reviews. It is also one of the few places I've seen anywhere that lets children under the age of 8 participate in interactions with the dolphins. There are multiple interact with dolphin options available. From simply observing, to painting with a dolphin to full on structured swim sessions. We opted to go with the Shallow Water Encounter. The Shallow Water Dolphin Encounter allows anyone over the age of three to interact with a dolphin. You stand on a motorized platform in the dolphins swim area, and an instructor leads you through tasks. The instruction last approximately 20 minutes during which time you get to touch, play, kiss, and learn about the dolphins. The kids loved this experience, and have already asked when they can do the Structured Swim option. This was the perfect way to introduce the kids to dolphins up close (especially for one of ours who was a little more hesitant about the situation). Note: We did opt for the professional photographer to take our photos. It's an additional fee, but we were able to just enjoy the experience and not worry about having our phones or cameras capture any moments. Book online for a slight discounted rate! Some of the best fishing in the world is in the Florida Keys. There are tons of available guides on each Key. Mr. Cute did some research and booked an off shore fishing trip out of Pilothouse Marina for he and our eight year old son. 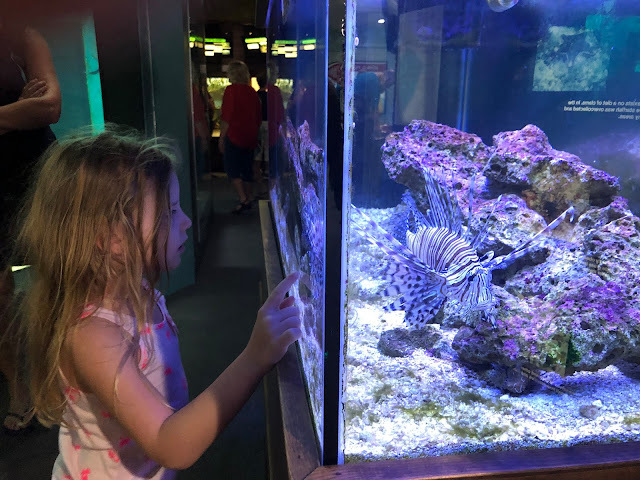 He went with Charisma charters and felt they did an excellent job and were super knowledgeable about water conditions, fish availability, and amazing with the kids. The boys caught Yellow Tail Snapper and Cera Mackerel. The John Pennecamp Coral Reef State Park was created in 1963 to protect one of the only existing living coral reefs in the Continental United States. It is described as an undersea park and covers approximately 178 nautical square miles. 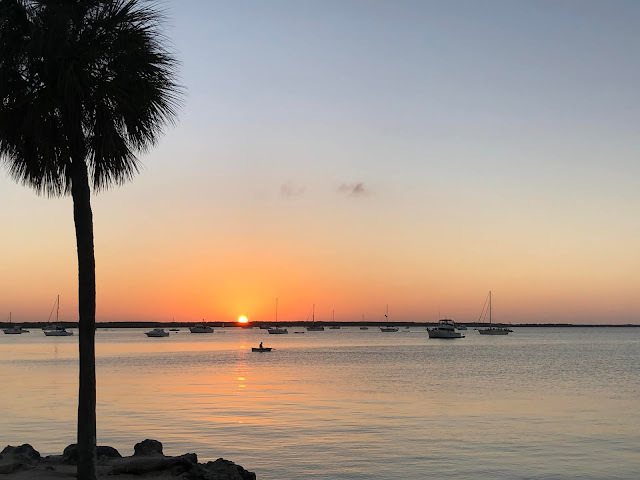 Access to the park is right in the heart of Key Largo, and it is the host to a variety of activities that can be enjoyed. The park offers scuba diving tours, snorkeling tours, kayaking, paddle boarding, glass bottom boat tours, and aquarium and more. 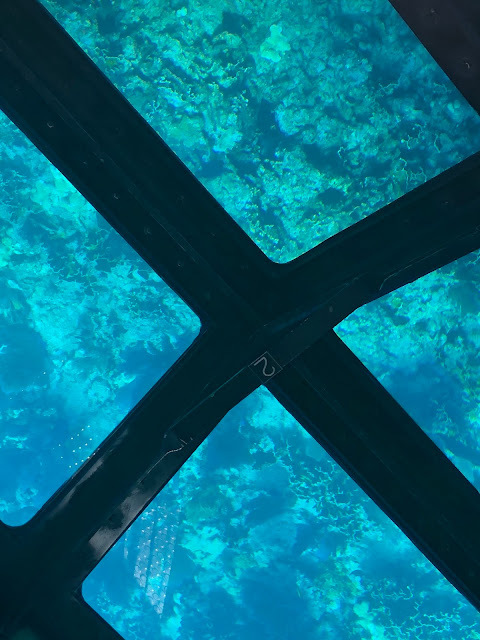 We decided to take park in a Glass Bottom Boat Tour to give the kids a closer peek at the coral reef, and the chance to learn more about the park in an interactive setting. The tour is approximately two hours long, but it goes by quick. You get the chance to see fish, stingrays, sharks, sea turtles, and more in their native habitat. Note: If you get seasick at all be sure to check wave conditions or take one of the offered dramamines before the tour. You look down a lot, and we saw several people get sick. There is also a snack bar available on board. After the tour we took a quick pass through the aquarium. There are several fun interactive exhibits for kids (young and old) to enjoy and a few native species on display. You are also able to enjoy the park at your leisure outside of the tours. It's open to the public once you pay the entrance fee. If you are a nature lover at all, I highly recommend. Key West Ship Wreck Museum - located on Key West. 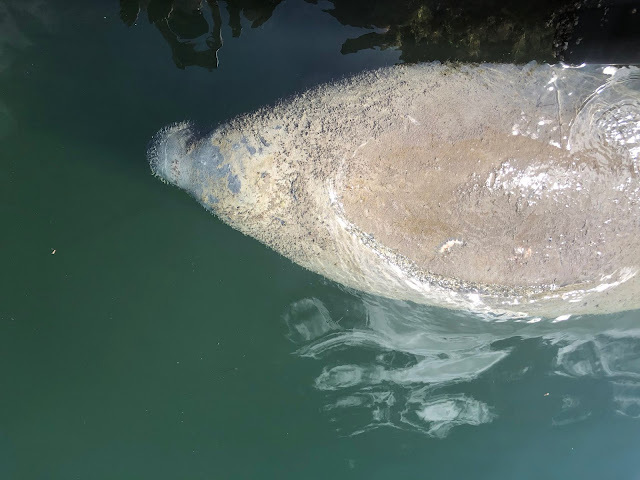 Island Dolphin Care - located on Key Largo. 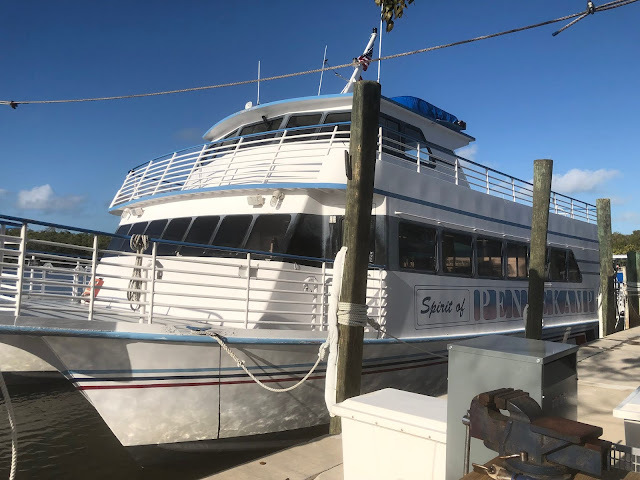 African Queen Canal Cruise - located on Key Largo. 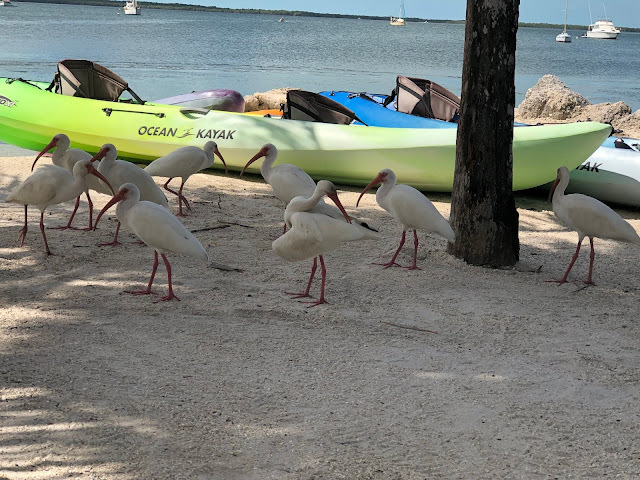 Florida Keys Wild Bird Sanctuary - located in Travernier, Florida. History of Diving Museum - located on Islamorada. 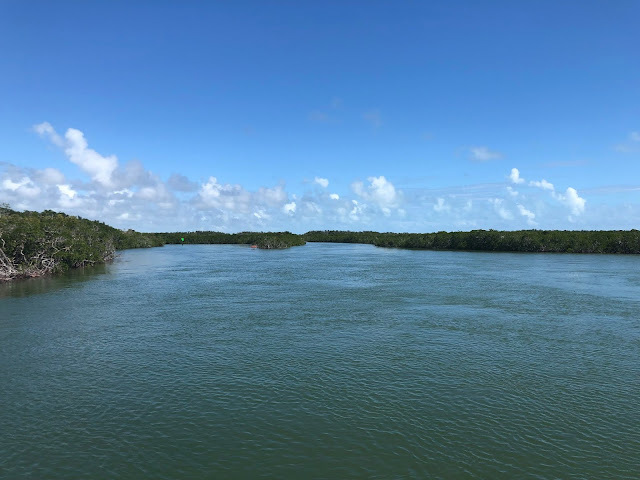 National Key Deer Refuge - located on Big Pine Key. 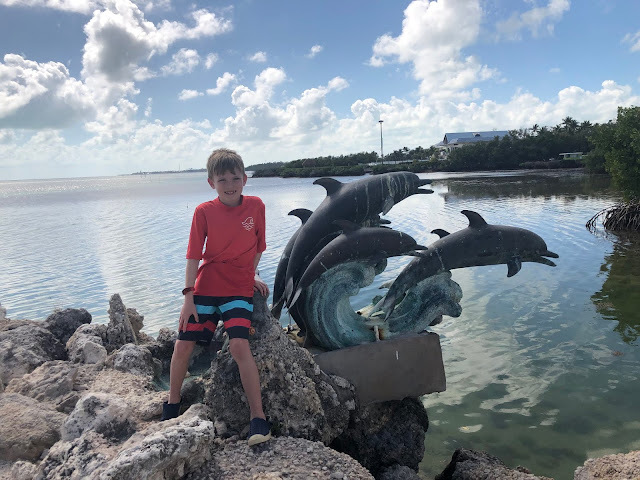 Have you visited the Florida Keys with your kids? What are some of your favorite attractions to visit?